Vegan ice cream brands at Whole Foods. What started as an ice cream truck in the streets of New York has become a small ice cream in New York and Los Angeles. Van Leeuwen Ice Cream Ice is the ideal place to meet in New York City with locations in Manhattan and Brooklyn. It is likely that you are in the area during your stay in the city. And you cannot resist your dream ice cream without the dairy products and their unique flavors! Van Leeuwen Artisan Ice Cream is not dairy-free, but there are a number of vegan ice creams that are rich, decadent and creamy. Every non-dairy-like taste is made from the ground with cashew nut milk, coconut milk and cocoa butter. Then mix with fresh ingredients to bring their creative flavors to life. The non-dairy firsts salt caramel, pistachios, chocolate sponge cake, roasted bananas, matches and much more. In addition, they have special flavors that often change. If you need more forgiveness, try one of their ice creams without dairy products! They even beat coconut cream to finish it. If you cannot go to one of their cute little places or find an ice cream car, you can buy pints of their ice cream. Some non-dairy flavors are sold in supermarkets throughout the city, including Whole Foods. Or buy your cookbook and make vegan ice cream from your lazy chair! 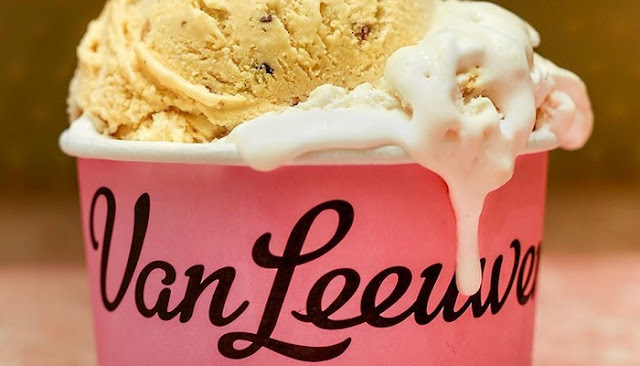 And if you ask me, you cannot miss the tasteless flavors of Van Leeuwen's Chocolate Chip and Salty Caramel Artisan Ice Cream. Together they form a perfect sweet and salty combination. And the huge pieces of tough cookie dough are phenomenal. These are things that only we can handle because we really cannot ask anyone to deal with it. We can also do more energy in business because we do not produce generators. We can take chilled drinks and cake boxes. It is also good to have an environment where we can invite our guests to enjoy ice cream and coffee. The trucks will always be a snapshot. Probably not international. People from Australia always ask me if we want to open in Melbourne. It would be fun and fun for my family and friends, but it would not be the next logical step. We think a lot about the opening in California or Florida, but we continue to point out that it is logistically easier to expand within New York. We can grow much more in New York before we have to take care of the rest of the country or other cities. We would like to produce our packages in many other markets. We were at Whole Foods almost from day one. They approached us on our first working day. I do not think they realized that we were as new as us. Do you have pints in supermarkets? "It turned out that she worked for Whole Foods and had contact with someone who had a lot of products for Whole Foods." If you want to deal with the design of the packaging and everything that has to do with the packaging of the ice cream. We guarantee that we will bring it to this region. "So it was very good to publish it at Whole Foods, we passed production about two and a half years from New York State to Green Point, and we now have much more freedom to create different flavors. To do a big production run to try different flavors, and if they work well, we can make them more sustainable. If not, we do not have much left. Recently we have been working on a Maiseis we have served at an event called major talks in Williamsburg. It was a collaboration with Dan Barber of Blue Hill, a fantastic restaurant in Westchester. He is a chef who inspires us a lot. We even have a restaurant that is completely separate from Van Leeuwen. We opened in October last year, says Selamat Pagi. It is Indonesian food. The menu is a collection of recipes that Ben and I have learned in Bali. We work with our chef Jason Greenberg. He does an incredible amount of work. It was a crazy idea in my mind. When we moved production from the north of the state to Green Point, we left with another company. One day we thought: "Maybe we should make an Indonesian restaurant." We thought we could do it very easily and it would not take long. We learned fairly quickly, we had to spend a lot of time and energy. We are really proud of what we publish.